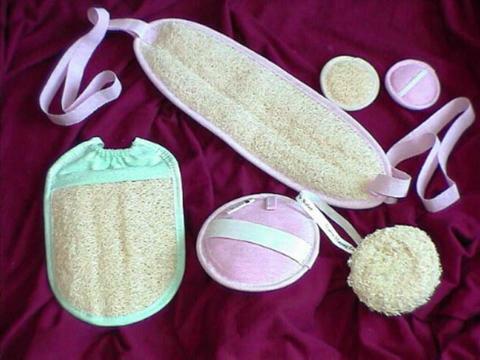 The QUEEN Company have been manufacturing natural LOOFAH bath products since 1938. Selecting high quality materials has established QUEEN as a successful pioneer in this field, in the local and international market. Our "secret" is our knowledge, experience and love for nature, leading to a satisfied clientele. Exfoliating the skin they remove the dead cells that block skin pores and improve blood circulation and cellulite conditions.